Do you experience voices visions, special messages, unusual beliefs, or extreme states of consciousness? Do you love or work with someone who has any of these experiences and you want to build understanding and/or be a better support? 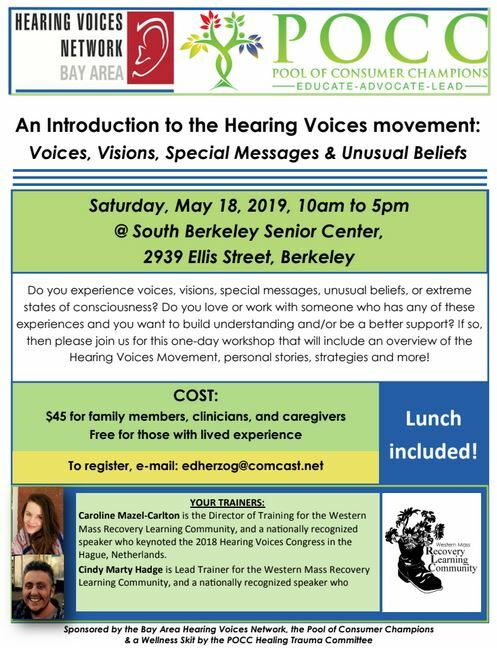 If so, then please join us for this one-day workshop that will include an overview of the Hearing Voices movement, personal stories, strategies and more! Psychosis, Spiritual Awakening, or Shamanic Initiation? Crazy…or wise? The traditional wisdom of indigenous cultures often contradicts modern views about a mental health crisis. 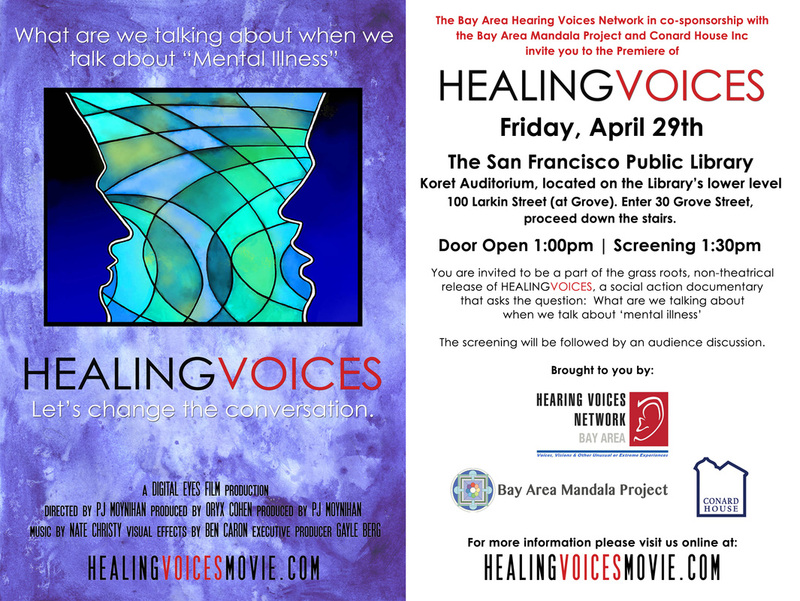 Is it a ‘calling’ to grow and heal the community or just a ‘broken brain’? The documentary CRAZYWISE explores what can be learned from people around the world who have turned their psychological crisis into a positive transformative experience. Please click here to register for the training. Our primary audience is family members and individuals with experience of voices, beliefs and/or unusual experiences, but we're happy to include other interested community members and allies. The training team has substantial collective experience working with voices and psychosis in caregiver roles, as peers, and as providers.